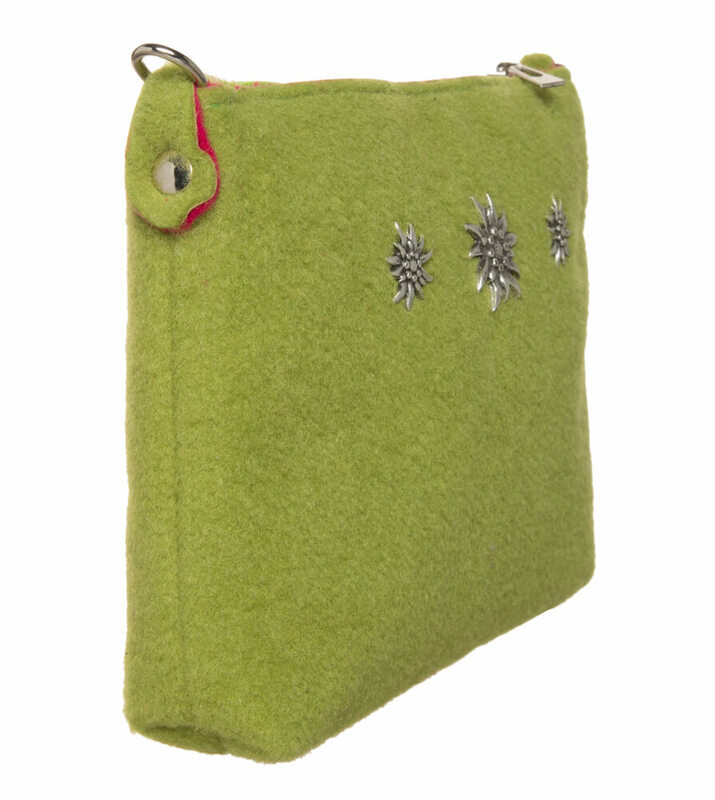 Trachten bag in fashionable felt style. Sometimes, it has to be apple green. The colour works wonderfully with many Trachten looks, from dirndls, to Trachten jackets and shirts, and always brings summer, sun and parties to mind. 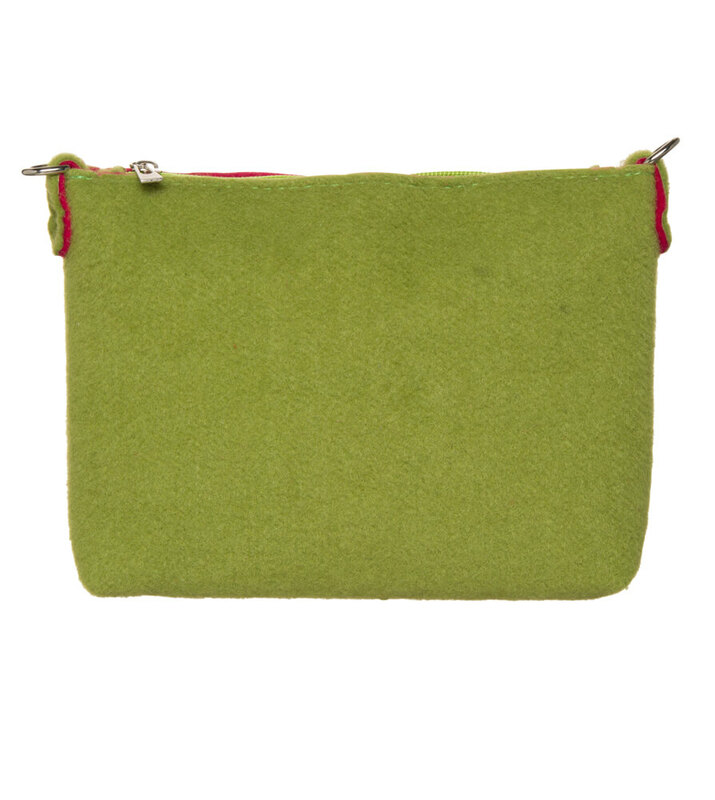 The small Trachten bag by Schuhmacher is made from felt, and its smooth look will get your heart pounding. The highlight is clearly the metal edelweiss appliqué, evoking a lovingly handpicked bouquet. 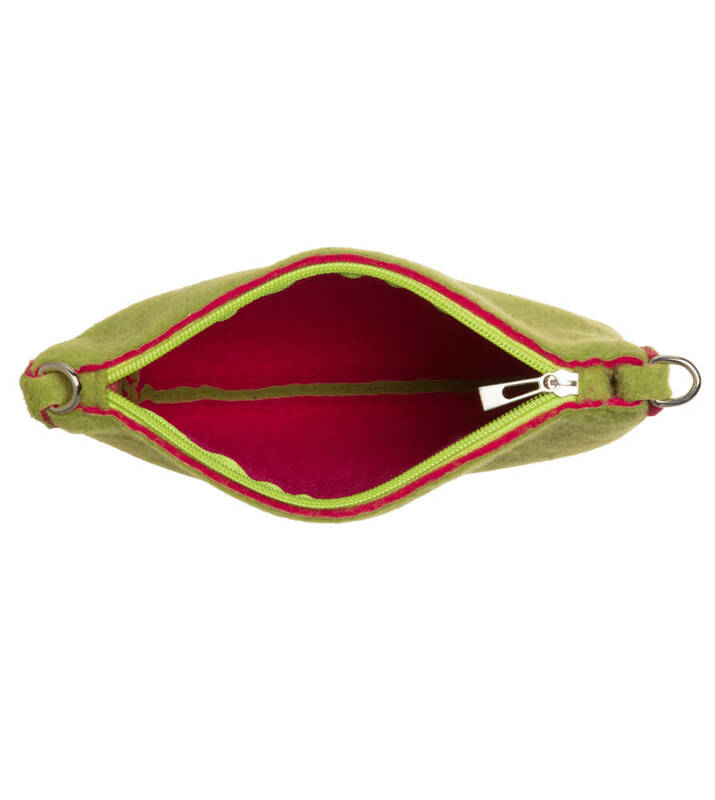 Naturally, the bag is fitted with a zip, and offers more than enough space to store lipstick, powder, and all those little necessities. 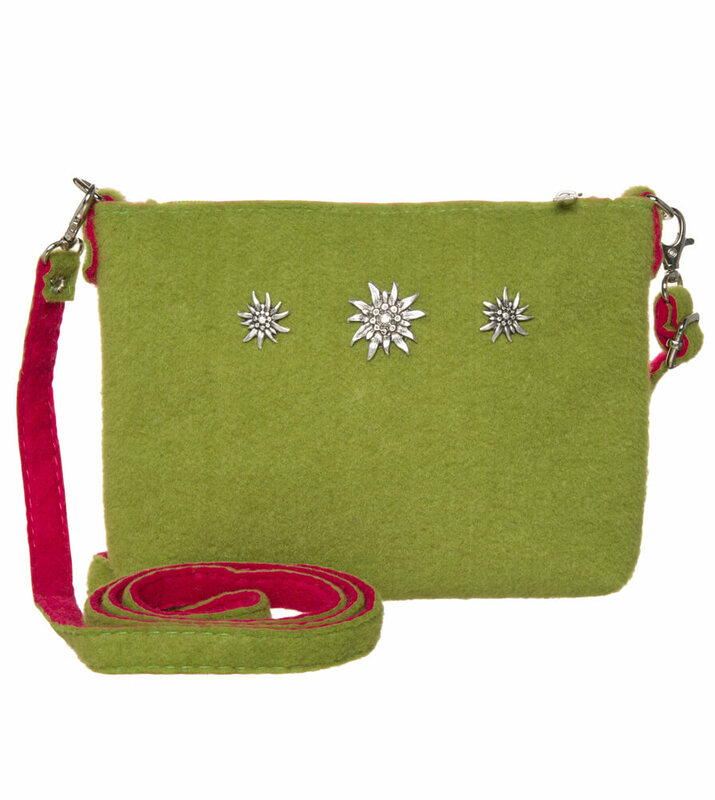 The attached crossover straps quickly transform this bag into a shoulder bag, so that you can keep your hands free and really enjoy your evening. This wonderful accessory also looks fabulous paired with casual jeans and a t-shirt! Schöne Filztasche passt einiges rein schöne Farbe.